The band have unveiled brand new material and accompanying visuals, which sees them dressed as old men. The track is the first new material to come from the band since their St Cecilia EP was released last November. 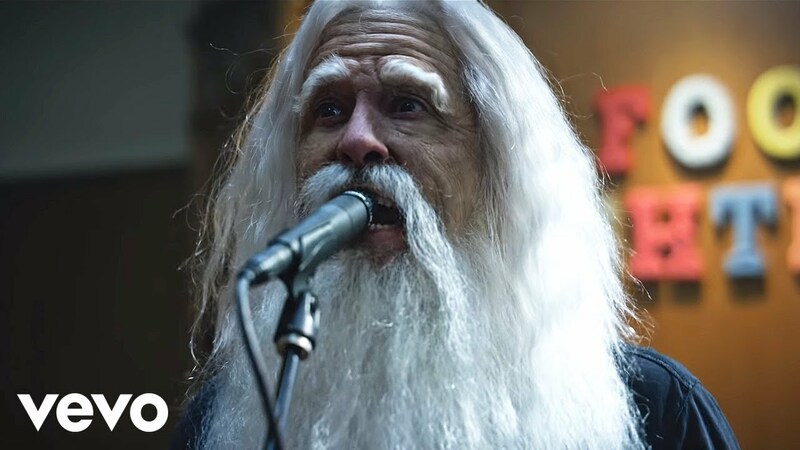 The Dave Grohl-directed piece sees the band play dress-up once again, this time taking on the guise of old-aged men who go on the run from their nursing home. Foo Fighters are set to headline Glastonbury later this month, topping the bill on the Pyramid Stage on Saturday night, 24 June. Stage times for Glastonbury were published earlier this week, confirming that the Foos will play at 21.45, following The National and Katy Perry. The band were due to perform at the 2015 festival, but had to pull out when Dave Grohl broke his leg. They were replaced by Florence And The Machine. Grohl told Radio X's Gordon Smart that the band had unfinished business at Glastonbury: “We’re a little bit late on that gig, but I’m looking forward to making up for it”.